Thunder Valley is a country farm named after chief Yellow Thunder, one of the great Ho-Chunk Indian Chiefs. He and his tribe were relocated to the Iowa country in 1840, but Chief Yellow Thunder promptly returned and bought back his old land from the government. He lived out the rest of his life peacefully among the white settlers, often camping with them on the hills overlooking the farmstead. Chief Yellow Thunder and his wife are buried just a few miles from Thunder Valley. Thunder Valley lies in Newport Township, the town name of the earliest Wisconsin Dells settlement. Early in its history, this area was mainly comprised of Norwegian immigrants, and the Nelson family ancestors were some of the original Scandinavian settlers. Thunder Valley represents a rich blend of American Indian and Norwegian immigrant history. Today, the Nelson family strives to maintain this rich, ethnic heritage. Thunder Valley offers comfortable lodging, exceptional food and unique entertainment, along with old-fashioned charm and hospitality. Anita Christopherson Nelson was born and raised on a small farm in the area and knows what real Scandinavian hospitality is all about. 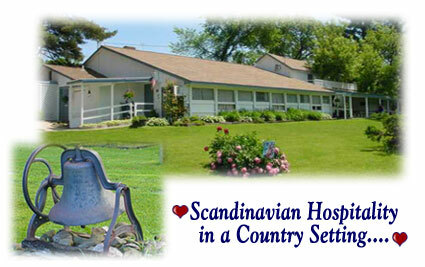 It is the same warm friendliness that Anita and daughters Kari and Sigrid have brought to Thunder Valley. They will make you feel welcome and like part of the family. Kari and Sigrid may also entertain you with a Norweigian fiddle tune or mountain ballad. Great food and lodging are not all that awaits you at Thunder Valley. You are invited to take in the many Wisconsin Dells attractions or visit one of the nearby state parks. Or just stroll the farm, browse the gift hus and enjoy the solitude. Whatever your mood, it's all here for you at Thunder Valley!